I got a tip on this band a year ago from someone who knows my musical preferences pretty well. This was before the actual album release, meaning I had only 1-2 tracks to go by and truth be told, they did strike me as a bit disjointed. Being in constant berserk mode, which I tend to be regarding my music wanderings, I moved on to other bands and albums. Fast forward a year and I´m loving this album, having had the chance to fully explore it. This band has acquired superlatives like “future leaders”, “seasoned veterans”, “intelligent musicianship”… the list goes on. 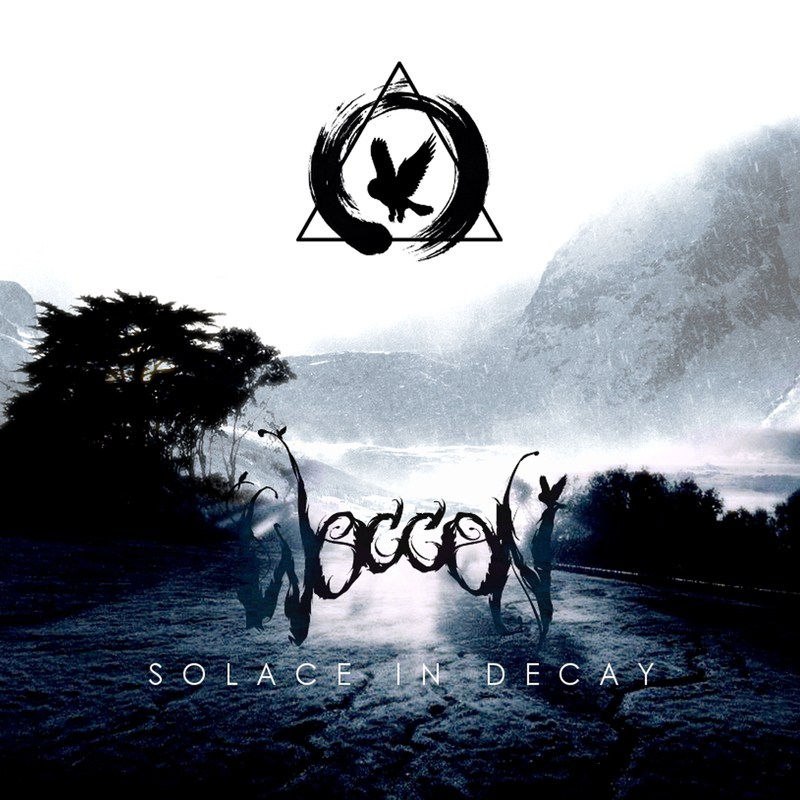 With an EP prior to “Solace In Decay”, which did well in magazines and radio stations, Woccon is name being mentioned increasingly in the roaming murmurs of the underground as something that needs to climb higher up, a Death/Doom Metal prodigy on the rise if you will. The music on “Solace In Decay” is firmly planted in the Death/Doom Metal field. I´m picking up some serious Daylight Dies influences, although this band has a more aggressive front and more tempo dynamics. This means a wide array of lush, sensuous clean guitar arrangements circling the rich leads and diverse riffs creating that engulfing atmosphere of potent misery with just a dash of hope. The memorable intro piece, incredibly well done with cinematic beginnings, great guitar leads, epic keyboards (and incidentally cowritten with Barre Gambling of a certain band just mentioned), gives a taste of the oncoming lauded musicianship and songwriting. Advancing into the combo of “Giving Up The Ghost” and “Atrophy”, both treading that solid rocking lead guitar template with sturdy and pulsating rhythms that are so thrilling and emotive. Tim Rowland comes off as an aspiring and talented musician. Having written most of the material, plus engineering, producing, mixing and mastering the whole affair (also doing the graphical design), he´s pretty much at the helm, running the show. He´s also clearly a student of the old school of lead guitars (Katatonia, Paradise Lost, My Dying Bride, Swallow The Sun, Daylight Dies, Rapture etc), where melody is carrying the song. 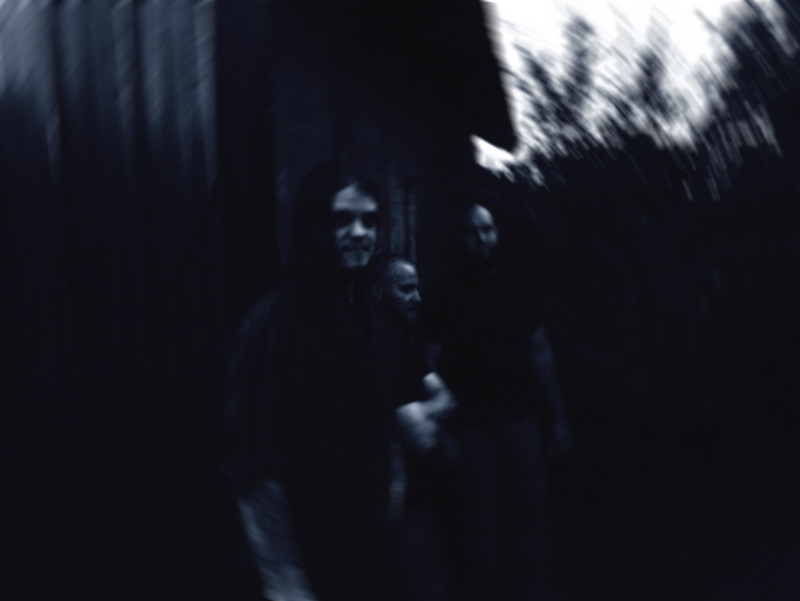 A different set of influences shine through the instrumental “Valadilene”, one of the album´s highlight, opting for blackened post/shoegaze Rock and/or Metal atmospheres that heave and drop, imposing a touching resonance within this listener´s heart. Name´s Fróði Tórálvsson Stenberg, extreme metal voyager. Based in Tórshavn, The Faroe Islands, metal has always played a huge part of my life. It´s been an integral part of me and has teached quite a few valuable lessons about life and reality. I´ve celebrated this style of music for over twenty years now, I really appreciate its intensity, extremity and sometimes underlying irony, it takes me out of my comfort zone. My interest increases each year instead of slowly growing apart. During hardships, I´ve always turned to metal music, listening, detecting an empowering resonance that has given me relief, especially the more extreme forms. Extreme Metal music was basically nonexistent on The Faroe Islands in the nineties. You had the classics of course, your Maiden, Priest, Kiss, Metallica, Motley Crue etc. Later on, extreme metal albums were imported for a short time before the internet platforms gave me access on a more frequent basis and a whole new world opened in front of me. I´m constantly looking out for new bands, searching back and forward, left and right. An obsessive record collector. I´ve done hundreds and hundreds of reviews, interviews, articles at sites like Urkraft and The Metal Observer since 2002. The opportunity of joining a metal community has exposed me to a lot of metal music… A LOT! Good, bad and just plain weird, the sub genres are plentiful. It´s been an interesting ride. Having this outlet, I´ve considered myself as an ambassador for Faroese Metal through my position as a writer at the aforementioned websites, promoting them whenever there´s been releases. This page is intended to be tied with my future blog, which is being designed at the moment. I feel that I´ve started Extreme Metal Voyager for the right reasons. It´s all about the music, first and foremost, like a digital tape trading “underground enviroment”. There´ll be a staggering amount of link posting of old favorites, new discoveries, left-field guilty pleasures and so on. I´ll post my personal recommendations, review albums, do some interviews and hopefully write some interesting articles about all things Metal. I´ll try to keep the content varied and interesting. Everything kept with a healthy sense of sarcasm, irony, enthusiasm and loathing. I do not apologize for the amateur level, I call the shots here.